Some people cannot handle money well. This is how they end up with credit card debt, unpaid bills, and spending money unnecessarily. The biggest challenge for those that move out of their parent’s home is managing finances. 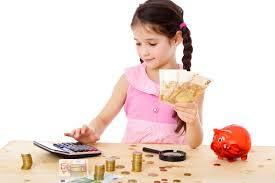 Below are some tips in which parents or guardians can teach children how to manage money. In early childhood, the best gift you can buy for your child is a piggy bank. This introduces them to idea of saving. It also allows them to learn how to put aside money for buying something later. When your child fills up his or her piggy bank make sure to sit down and count with them. You can also take your child to the bank and have the change counted in the change machine. This helps children feel that they have accomplished something by saving up. Take your child shopping and let him spend the money on something he or she really likes. Monopoly is a game that allows your child to use his or her math skills and judgment. The game has paper money that encourages children to invest and manage money throughout the game. Children learn what they can buy and what they can’t afford while playing the game. This game puts children’s mind at work in solving some real life financial situations such as paying fines, utility bills etc. It also allows them to save up enough money to buy a house or hotel and charge rent. Children learn how to add and subtract money very well. Counting paper money in the game is a good exposure. Believe it or not children learn a lot from their parents. If you manage money well your kids are more likely to manage money well also. The main component is to show them that you are doing it. This can be done by discussing whether you can or cannot afford an item. Show them how you tip at the restaurant. Allow them to see how you buy things or services. Assign chores for your kids to do around the house. Give them money if they complete the chores. Reward their work. Do not give money if they don’t work. If you are giving money out of emotions your kids will start taking money for granted. If they want something like a new game then give them more opportunities to earn the money. Allowances make children grow and become responsible. It allows them to practice how to save money. When your child becomes a teenager let him or her get a job. Your child can legally work so long as he or she is 16 years old. If your child is under 16 years old he or she can do jobs such as babysitting for a family or watching their own siblings. Having a job teaches teenagers how to be punctual, responsible, and have discipline. These are essential skills they need to acquire in being a successful worker in the near future. Exposure to different jobs is important in understanding why some jobs pay more than others. Getting paid on the job builds confidence and teaches them how to become financially independent. Working a job makes teenagers aware of the value of money and how hard they had to work to earn it. This allows them to be cautious of where they are spending their money. I hope these tips helps your children learn money management. Please feel free to share them to your friends, family, and community members. Feel free to contact us for all of your tutoring needs. We provide in-home tutoring all across the phoenix valley. We also provide online tutoring and test prep all over USA.